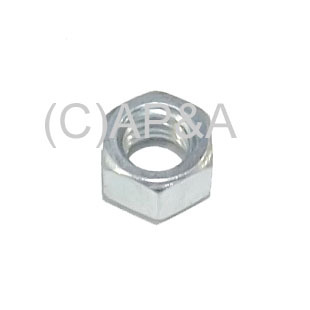 3/8-16 thread pitch nut, steel, zinc plated. Commonly used for leg levelers on most makes and models of pinball and video games. Can also be used to reinforce leg bolts inside cabinet on pinball machines. Sold individually. Replaces Bally/Williams # 4422-01117-00.